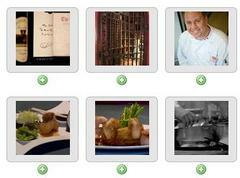 Menumill makes it simple to group photos into galleries and display on your site. Reorder photos with drag-and-drop ease. Select photos from your list of uploaded assets. Simply drag-and-drop gallery images to reorder them. 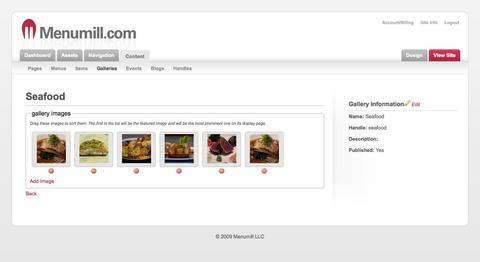 Menumill galleries use templates which gives you full control of its presentation. Basically galleries are just lists of images, so the template designer has full artistic freedom. Use Lightbox, pure CSS, or even a flash based slideshow - did we mention its flexible?